We feel it is in the interest of our constituents that the DOL repropose this fiduciary regulation, lawmakers tell Labors Thomas Perez. 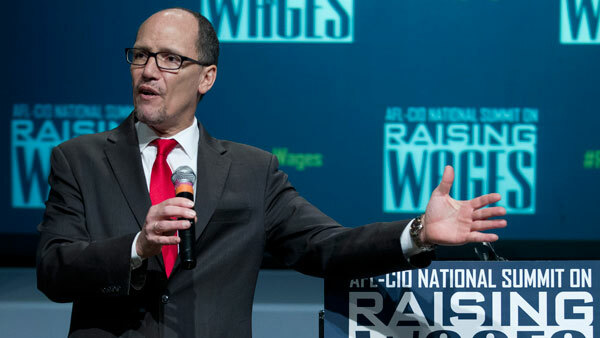 Industry officials are at odds over whether the recent letter from four lawmakers telling Labor Secretary Thomas Perez to “repropose” the Department of Labor’s fiduciary redraft is yet another stalling tactic or an attempt to get the rule right. Four lawmakers told Perez in a Friday letter to repropose DOL’s fiduciary redraft after the comment period expires on the 2015 version Labor released in April. The official comment period on the redraft expired on July 21, with a set of hearings on the redraft to be held the week of Aug. 10. The transcript of those hearings will then be released for a 14-day comment period. Mason predicts at the close of the post-hearing comment period (likely in mid-September), DOL “will be working on finalizing the regulation,” with DOL aiming to publish the final regulation around March 2016. Wagner is the author of H.R. 2374, the Retail Investor Protection Act, which would require the DOL to wait to repropose its rule until the Securities and Exchange Commission issues its own fiduciary rulemaking. Steve Saxon, chairman of Groom Law Group, said recently that Wagner’s bill “will continue to be supported” and that DOL will push to issue a final rule (likely by May 2016) before Jan. 20, 2017, the day the new president takes office. ERISA guru Fred Reish of the law firm Drinker Biddle & Reath says that one area of the rulemaking that must be changed is the best interest contract exemption, which requires an advisor to “get a signed contract at the time of the initial conversation” with a client or potential client. — Check out Evensky: Fee-Only Advisors Face Annuity Dilemma on ThinkAdvisor.